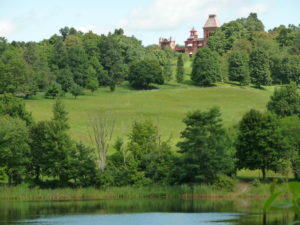 Columbia Memorial Health has joined The Olana Partnership to honor our region’s moms, dads, and grandparents by offering free admission and tours at Olana to the first 100 pre-registered guests who visit on each of three holidays — Mother’s Day (May 12), Father’s Day (June 16) and Grandparent’s Day (September 8). Advance registration for house touring is required. Any unreserved spaces will become available to guests on a first come, first served basis the day of the event. Please use the codes above to reserve your ticket. Visitors should arrive 20-30 minutes before your touring start time.